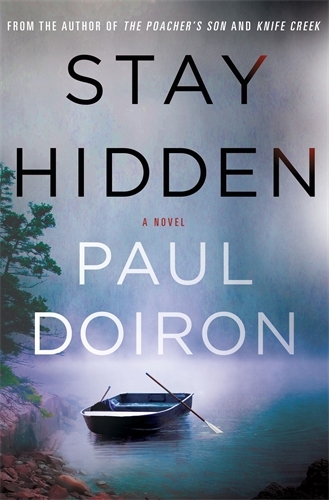 Among a seemingly skyrocketing trend of domestic noir, unreliable narrators, and unlikable characters, Maine author Paul Doiron offers something rather timeless: an engaging series centred on an honourable and interesting detective operating in a distinct and well-evoked setting. 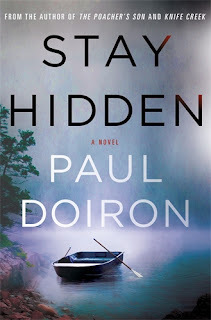 STAY HIDDEN is the ninth Mike Bowditch mystery, and it sees the Maine game warden finding his feet in his new role of Warden Investigator. Doiron, who was a longtime magazine editor in Maine and is a keen outdoorsman (fisherman) himself, has a really great touch for the rural and wilderness setting of his home state. This is not your fictional Maine of Jessica Fletcher and Murder, She Wrote fame - it is wilder, grittier, filled with more struggle among some spectacular scenery. Bowditch is flown to remote Maquoit Island off the Maine coast following the fatal shooting of a controversial journalist during hunting season. He's still dealing with debris from a broken relationship, making the journey tougher given his ex's father is also on board. What Bowditch and his superiors first think is an open-and-shut hunting accident turns into anything but, especially when the purported culprit turns out to just be a witness. So a killer is still at large. Things get even more complicated when the dead woman later arrives on the island ferry, planning to interview a notorious hermit who fled his Hollywood lifestyle many years ago following his wife's suspicious death. So who pulled the trigger and killed the victim, and who was the victim? Hemmed in by feuding islanders and a building media furore - not to mention his bosses back on the mainland who are keen for a quick resolution that doesn't create too much hassle - Bowditch struggles to prove himself in his new role, stumbling through the fog, figuratively and literally. This is an intriguing and clever mystery that flows along wonderfully. Throughout the unfolding story, Doiron fashions a really exquisite portrait of isolated communities on the Atlantic seaboard, island towns full of lobstering families and traditions who face many challenges while leading a modern frontier lifestyle. You can feel the salt spray, the ruggedness of the landscapes and the people who populate them. Strong and nuanced characterisation blends with a striking sense of place. This is the first Mike Bowditch mystery I've read, but it certainly won't be the last. Doiron is a great storyteller, and this is astute and multifaceted crime writing. Recommended.